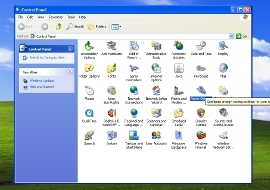 How do I turn on hard disk power saving in Windows XP? 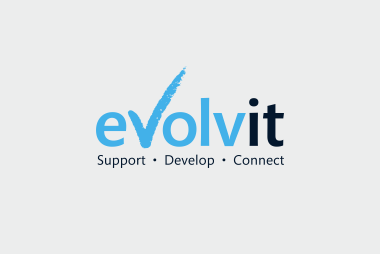 YOU ARE HERE: Home » Support Guides » Evolvit Support » Energy Saving PC Tips » How do I turn on hard disk power saving in Windows XP? According to many energy reports and statistics we could save a lot of energy by simply turning the power off to our Hard Disk Drives when the computer is not in use. 1). Click on the Start Menu. 3). Click the icon labelled Power Options which will open up a new window labelled power options properties. 4). Click on the Power Schemes tab which by default should already be selected. 5). 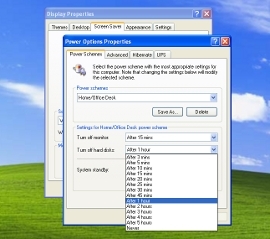 Under the “Settings for Home/Office Desk Power Scheme” click on the drop down box labelled Turn Off Hard Disks. 6). Select the amount of minutes you wish your Hard Disks to turn off after inactivity. 1). 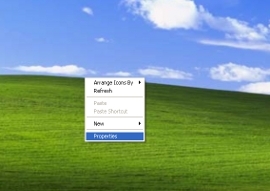 Right click in a blank space on the computer’s desktop. 2). Left click on Properties in the popup menu which will open up a new window labelled display properties. 3). 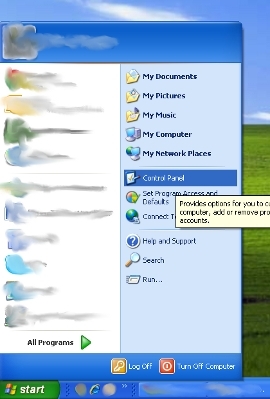 Click on the Screen Saver tab. 4). Under the “Monitor Power” section click the Power button. 5). Under the “Settings for Home/Office Desk Power Scheme” click on the drop down box labelled Hard Disks. 9). 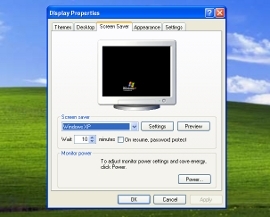 Click Ok on the display properties windows.